When Ashley and Megan found out who their freshman roommates would be last summer, they were surprised to find that they were already Facebook friends with each other. Considering roommates are assigned randomly freshman year, it was unique enough that both girls were from the same small state. Ashley Henry and Megan McGarel, freshmen in Howard Hall and both from Tennessee, now have even more in common: they were both recently elected as representatives for Howard next year. Henry will be Howard’s Student Union Board Representative and McGarel will be Howard’s Senate Representative, and both are excited to get more involved and to meet new people through their new roles in the dorm. Henry explained that she and McGarel knew each other from the Girl State program in Tennessee. As far as both roommates running for a position in the election, McGarel said they talked about it a little bit beforehand, but it wasn’t a huge issue. These roommates are not the only girls in the hall looking forward to a new role in Howard: Bridget Doyle and Kerry Walsh, also freshmen, ran unopposed as Howard Hall presidents. Doyle and Walsh met during Freshman Orientation at the beginning of the year and had a math class together. They decided to run together due to their shared love for Howard and their pride in the dorm. The current presidents of the hall, Bridget Callaghan and Charitha Isanaka, are sad to be stepping down, but have plans for the last few months in the position. Callaghan also wishes well for the upcoming freshmen who will replace her next year. Notre Dame is something that is consumed in the extreme. 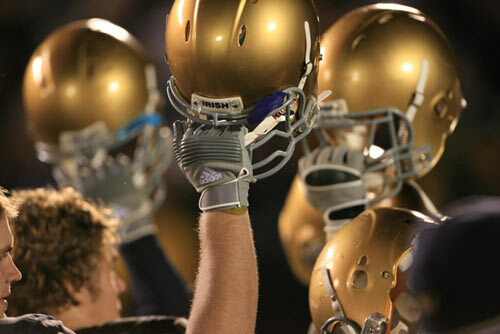 Either you’re a life long fan, a Domer, or are actually Irish (or all of the above) … OR you cannot stand them, and hate every single thing you’ve ever known about them, especially football. As it says on an article in the “Troll Notre Dame” section of DeadSpin.com, “Yes, there is no higher merriment in college football than making fun of Notre Dame.” (Tom Scocca) Absolutely anything those people can find about Notre Dame they will jump on the hater wagon for, and as a university that gets a lot of publicity from the national media when things happen, it can feel like Notre Dame gets criticized for every little thing. But let’s not pretend the Manti Te’o girlfriend hoax was a little thing. Not surprisingly, most Notre Dame students were on Facebook or Twitter when they found out about DeadSpin’s famous story claiming Manti Te’o’s dead girlfriend was a hoax. That one article was a good example of how one good story can rock the internet and social media is no time flat. You couldn’t go anywhere on campus without hearing people talking about it. So once again, Notre Dame is absolutely everywhere in the media as the story unfolded and the truth came out, perhaps blown out of proportion due to Te’o’s fame and the absolutely shock and bizarreness of the truth. A big story puts Notre Dame in the news again (a story outside of coverage of the football team, that is), and of course there is controversy. Something even more important than the coverage is how people responded to it, what they believed based on the facts they saw, how they felt about it. Facebook and Twitter are perfect ways to see that. News is no longer just presented to us, but is ours to publicly comment on and spread. What concerns me is how Notre Dame students might not have reacted. I’m not concerned that students are supporting Te’o as they have all season in the face of tragedy. 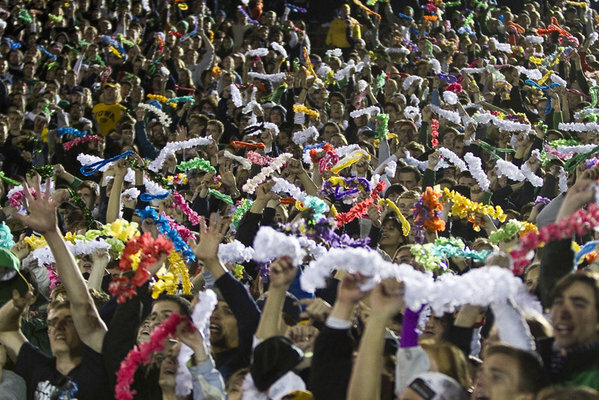 It’s great that students would rally behind someone a player in a time of tragedy, embarrassment, or need. That was my initial thought on seeing the headline, because it seemed so ridiculous. But as I read the convincing research DeadSpin presented, I realized this was likely true and pretty serious. “This can’t be true” then applied to the idea that Te’o had some part of this hoax. 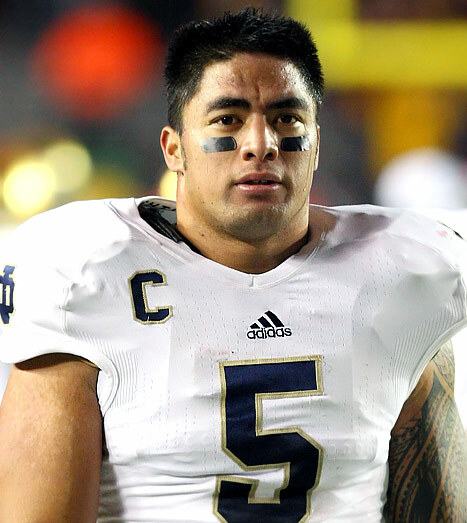 Manti is such a great guy, how is it even possible he would do such a thing? Before the press conference, the biggest issue seemed to be if Manti really lied to the world or not. I’m guessing other people might have had that gut reaction like I did, even if it mellowed into “I hope this isn’t true…” after some thought. But is that first defensive thought, defending the University or defending the football player in light of some condemning facts, a good thing? As I said, there’s no doubt about it that Notre Dame has passionately loyal fans of University, and the students are surely in that category. But is that blind faith in defending her a positive quality or a tragic flaw? 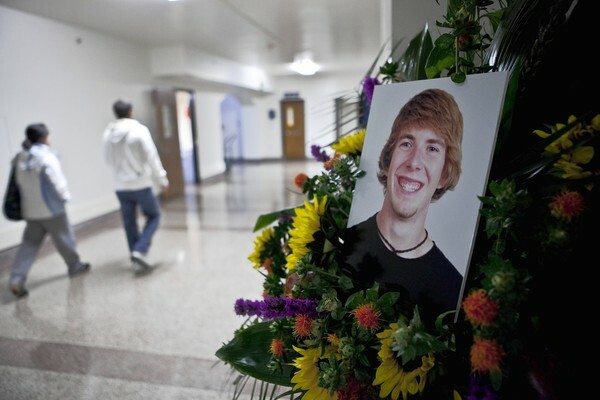 Take the Declan Sullivan or Lizzy Seeberg cases, two students that died while at the university. The death of a student is going to be a big story on campus, of course, but came to national attention when Notre Dame started being criticized for having a part in the deaths (more by lack of action) of these students and the deaths being related to football somehow. Again, I’ll admit my first instinct was to go to “It wasn’t Notre Dame/Brian Kelly’s/the Athletic Dept/Declan’s boss’s fault that Declan died” just as I thought “It couldn’t have been just the sexual assault that made Lizzy decide to kill herself.” Of course my rationalizations and excuses for why I thought this things came later, and it’s not like an argument can’t be made for that stance. But that first gut instinct definitely colored how I received the news and the facts presented about the cases. Notre Dame has been criticized for this too in a set of articles in the aftershock of the Te’o story: why were there tears shed by a university official over Manti being “catfished” over his internet girlfriend but not for Lizzy Seeberg, who not only died but may have been sexually assaulted by another student. And while there are a lot of things that are involved with such an allegation (ND’s discipline policy, Title IX, collecting evidence, etc. ), Swarbrick standing up to defend Manti does seem to prove what Lizzy’s friend told her in a text, “Messing with Notre Dame football is a bad idea.” It seems always being on the university’s side could be the wrong thing to do and doesn’t hold them accountable to criticism or problems. So again I post the question: Is that blind loyalty to Notre Dame always a good thing?